Some systems have been powered down at the International Space Station after a pump module on one of the station’s two coolant loops “shut down when it reached pre-set temperature limits,” according to NASA. NASA was forced Wednesday to reroute coolant systems when one of the station’s coolant loops, Loop-A, automatically shut down due to a temperature fluctuation. The ISS crew proceeded to move certain electrical systems over to the second loop, NASA reported. The two coolant loops circulate ammonia to keep internal and external equipment cool. “The flight control teams worked to get the cooling loop back up and running, and they suspect a flow control valve actually inside the pump itself might not be functioning correctly,” NASA said in a statement. 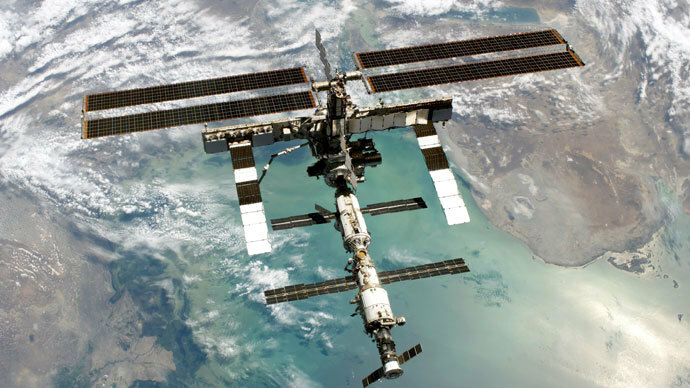 Complications with the International Space Station's (ISS) coolant system could lead to overly high - and low - temperatures for the ISS crew, though NASA said the crew was never at risk. “At no time was the crew or the station itself in any danger,” NASA reported. The space agency said that some non-critical systems have been “powered down” while teams analyze how the valve malfunctioned. External electrical equipment is still intact, according to Byerly. The crew is “preparing to begin a normal sleep shift while experts on the ground collect more data and consider what troubleshooting activities may be necessary,” NASA said. NASA hopes a software fix can repair the cooling valve. Otherwise, a spacewalk will be necessary to correct the problem. A NASA spokesperson earlier told RIA Novosti that the space agency received warning signals, but that it ruled out any significant problems. NASA says the “ISS can stay in current configuration” until engineers can determine a fix, though that could take a week or two.